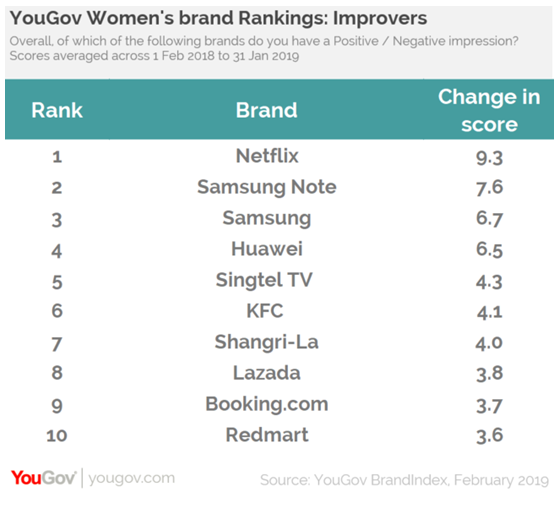 To commemorate the International Women’s Day on Friday, YouGov had released a report on brands that have left the most positive impression on women. Clinching the top spot is Singapore Airlines, just as it did for YouGov’s annual BrandIndex Buzz rankings. A point to highlight from the YouGov rankings were the fact that five of the top 10 comprises of Singaporean brands. 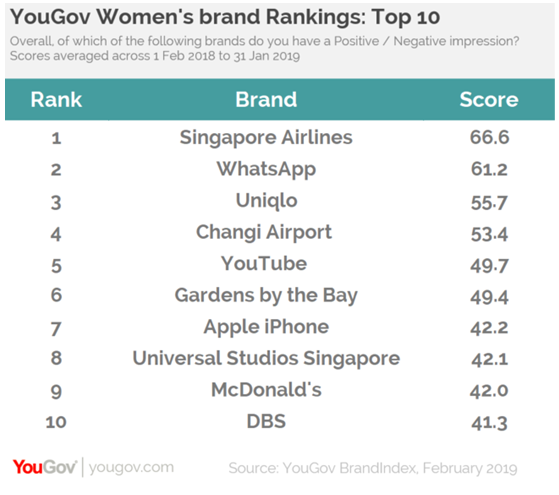 With Singapore Airlines at the top, brands that follow after include WhatsApp (second), Uniqlo (third), Changi Airport (fourth) and YouTube (fifth). The list is rounded out by Singapore nature park Gardens by the Bay (sixth), global smartphone brand Apple iPhone (seventh), theme park Universal Studios Singapore (eighth), fast food joint McDonald’s (ninth) and banking institution DBS (10th). YouGov also analysed which brands have seen the biggest increase in impression among women over the past year. Subscription video on demand service Netflix, heads this list with a score increase of +9.3 points. It is followed by the Samsung Note smartphone (up +7.6 points) with parent, Samsung, in third (up +6.7 points). Smartphone manufacturer Huawei takes on the fourth position with a close 6.5 points increase. Brand such as Singtel TV (+4.3), KFC (+4.1), Shangri-La (+4), Lazada (+3.8), Booking.com (+3.7) and RedMart (+3.6). Just recently, Lazada revealed that it will be integrating RedMart products into its platform on 15 March 2019, as part of its efforts to ramp up its supermarket business in Southeast Asia. 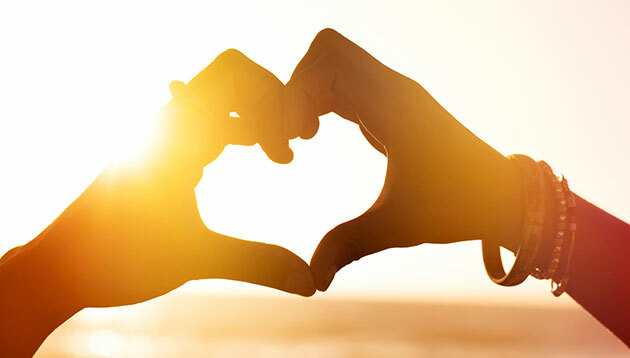 Ervin Ha, head of data products at YouGov APAC said that although it is tough to leave a lasting good impression on consumers, Singaporean brands and digital brands have managed to leave a positive one over Singaporean women. “While airlines in general struggle to maintain consistent positive brand health, Singapore Airlines have managed to solidifying its position as a top brand amongst women,” he added. YouTube's child video exposé: What do local marketers think about it? How KFC builds its brand in Indonesia on its music and sports events strategy, cleverly drawing more consumers to its stores. ..
Scottish tourism organisation VisitScotland has launched an online campaign together with Disney Pixar. ..